Recordings designed for serious shamanic journey work using classic round-frame drums. Each program in this series has been specifically designed for serious journey work as explained by Michael Harner in his classic work The Way of the Shaman. These professional recordings have been digitally remastered for excellent journeying results. 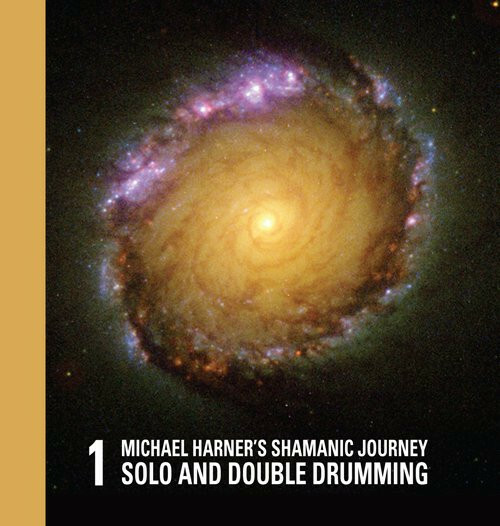 The solo drumming in this volume is an outstanding example of impeccable, uninterrupted shamanic journey drumming in the classic mode by Michael Harner, internationally recognized teacher and practitioner of shamanism. His large, single-head, round-frame hand drum produces the full range of the auditory spectrum, from pulsing low-frequency throb to the subtle midrange nuances and high-frequency overtones. The double drumming, which some journeyers prefer, is also done by Michael Harner, assisted by David Corbin. Both are using single-head, round-frame drums. The drums are beaten facing each other at a slight angle, about four feet apart, to produce the maximum effect without excessive reverberation. At the end of the journey there is a callback to signal that the journey is ended, and you should be back in the room where you started. You can use this recording for sessions of 15 and 30 minute in length, plus the callback.